From my garden seat, I think I am going to create a series with ballpoint pen and paper for the time our life facing climate change and economic difficulties. It's called recession art! Starting with the garden, I think it is about time to get in touch with nature.. to know is to love it! Naturally leaves cover flowers of Japanese maple. That's why I did not notice them for so many years. We are all too busy with everyday duties or routine. 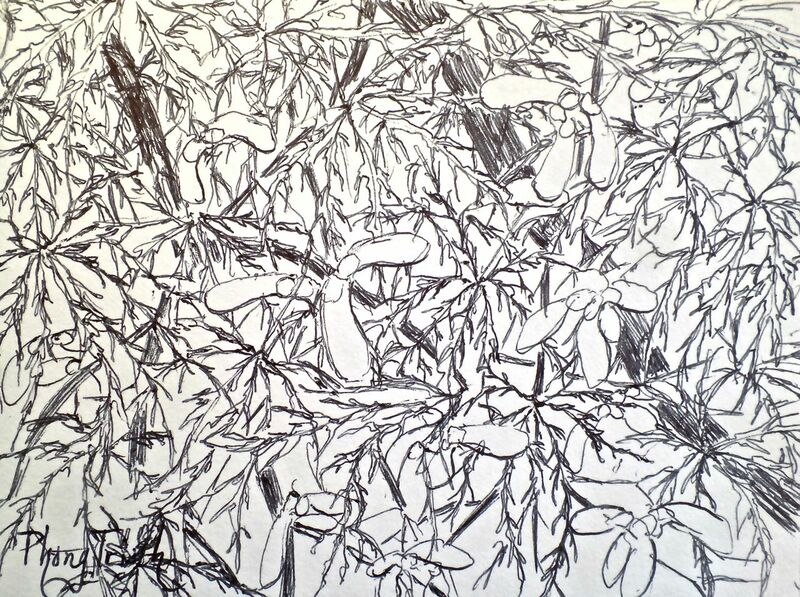 In this drawing I deliberately show the flowers. There are seven arms of each leaf, very beautiful and elegant. Sound simple? Yes. 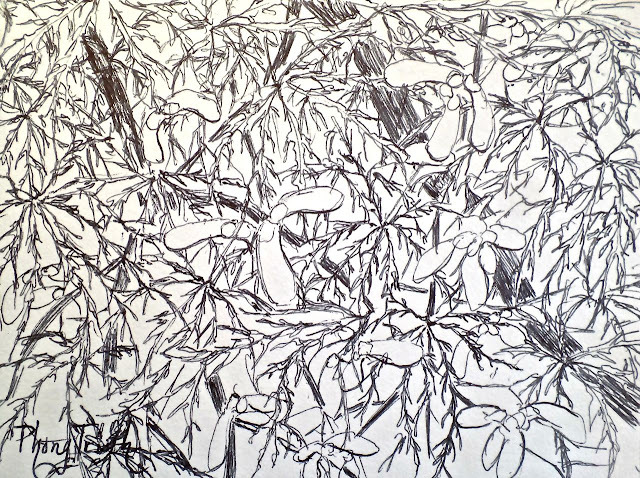 Then I keep going until I was puzzled and dazzled with the drawing like I'd been with the real tree. After the features and characters of the subject, I hope to capture the feel. These effect is the thing that takes my mind off and leave my bare soul with nature. Do you see the flowers behind the leaves?